Depending on whom you ask, you may hear that Google Analytics is either too overwhelming or doesn’t provide enough insight to actually be useful. 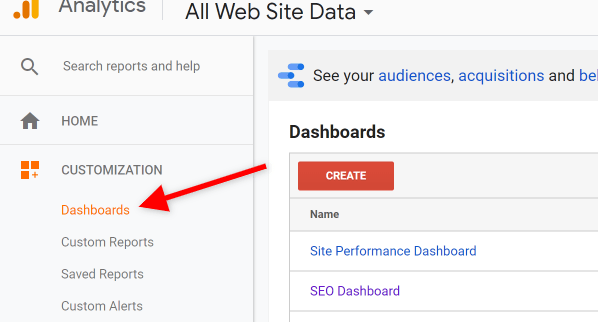 Finding the elusive Goldilocks zone in WordPress Google Analytics and then delivering that data to your WordPress clients becomes a whole lot easier once you start using Google Analytics Dashboards. Now I know you’re thinking, once you open up that can of worms and start giving your clients access to so much data, that’s only going to lead to more work for you. Plus, they’re probably not even going to log in to WordPress Google Analytics to look at the reports you spent so much time putting together. Well, today is your lucky day because I’m going to show you how to import pre-built Google Analytics Dashboards into your clients’ GA account, and show you how to deliver the dashboard data as a PDF via email according to the schedule you set. We’re also going to cover adding Google Analytics to WordPress. After all, with big data comes big responsibility, and you owe it to your clients to give them WordPress Google Analytics that feel just right. You know those choose your own adventure books? Did you ever read the Goosebumps book about the evil genie who grants wishes literally, so instead of getting what you want, you get something awful instead? This is what comes to mind when I’m trying to come up with a WordPress Google Analytics report. When creating a report or dashboard, you need to ask thoughtful questions, which will allow you to get to the heart of what is really important, otherwise you’re going to get something useless that vaguely resembles what you actually wanted. For example, say I’m trying to answer a generic question, such as how many visitors did I convert on my site last week? Sounds harmless, but the answer to that question might not be what I need to make the right business decision. I could have been working on my own site all week (thereby inflating my numbers) or most of the visitors that arrived may have only visited the home page and left after 3 seconds. While the number of visitors may have appeared high, I might not have had any high quality traffic. This could make me believe that my traffic is fine, but my landing page is the problem. A better, more specific question would have been how many visitors arrived on my landing pages, stayed for at least a minute and then left? If most visitors who arrive on my landing page make a purchase, then I could identify that the landing page is fine and that I need to focus on driving more traffic. When you’re coming up with questions, think about how they make you feel. If you’re feeding your ego big fat numbers to give yourself a sense of comfort and control, this won’t help you grow. Instead, you’ll give yourself a false sense of security. You want to delve deeper and ask the uncomfortable questions that measure your progress toward significant goals. That’s where the golden opportunities are. Alright, now that we understand why thoughtful, focused questions will yield better results, allow me to introduce you to the Google Analytics Solutions Gallery, where you’ll find the reports and dashboards of your dreams. There’s a lot of different kinds of reports, some show more information, some are more focused and show less, some have been downloaded hundreds of thousands of times so they show pretty much everything. Occams’s Razor Awesomeness and the New Google Analytics User Starter Bundle, for instance, are the two most popular dashboard/custom report bundles. They’re great all-purpose reporting tools that you can easily import into your own account. To add a dashboard to your account, simply hit the IMPORT button. From there with most reports, you’ll be prompted to select the view to use the dashboard on. Simply choose your own website or your client’s site and then you’ll be taken to the dashboard. Which WordPress Google Analytics Report Should I Choose? Custom dashboards designed and shared by experts are so helpful because they usually think of things you might not have. An additional benefit is some of the most popular reports have been imported thousands of times, so they have a whole community of people suggesting improvements, thereby making the reports better over time. Unlike the default reports in Google Analytics, the most valuable dashboards help you see both the big picture and understand the details with context, so you can make wiser decisions. While you may want to import all the dashboards, focusing on a few that will show you what matters most will help you avoid analysis paralysis. Let’s look at some popular pre-built dashboards that will provide some focused eye-opening insights for your clients. The impact of social media on sales isn’t always immediately obvious because there is a gap between social media accounts and sales activity on a different site. Bridging this gap will allow you to see in dollar amounts how much you social activity is worth. The Social Media Dashboard is one of the most popular dashboards in Google Analytics because it will help you accomplish this. How important is social media for attracting new visitors? What social network brings me the most high quality traffic? What social network is bringing in the most sales? 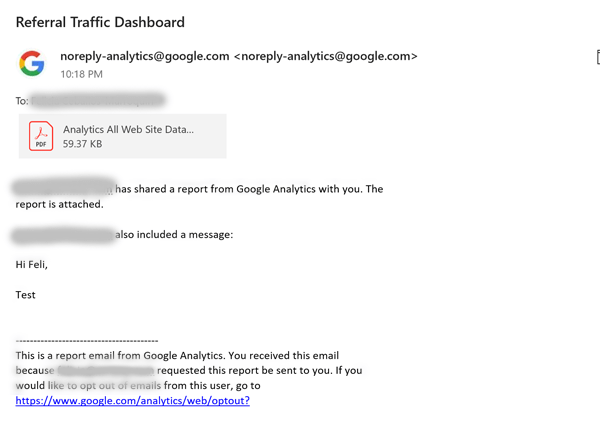 While the default social media acquisition report in Google Analytics doesn’t have everything in one place, the default referral traffic report is much more comprehensive. This might be enough for you. For those of you seeking something much more focused, I suggest adding the Referral Traffic Dashboard to your GA.
What landing pages are attracting the most referrals? Is the traffic I’m getting from referrals targeted and high-quality? Is there a site or a podcast who keeps referring high-quality traffic to me who I should form a formal partnership with? The Audience Overview Dashboard, while not the most popular audience-focused dashboard, will give you some practical information about your audience. It shows you the countries and metropolitan areas where you audience is located and shows you when and how they’re visiting you’re site. What day of the week and time of day do I have the most visitors so I can run a flash sale or be available? Do I have a large audience in a certain place? Should I have an in-person event there? What device and browser is my audience using? One of the ways site’s often lose money is slow loading times. Remember when people were actually semi-patient in the days of dial up? HA! Those days are done. The Site Performance Dashboard will allow you to discover all the places where your site may be falling behind. This is one of the best examples of how a custom dashboard includes data you might not have thought of. Is one of the most popular pages on my site slower than the others? Is my site loading faster or slower on mobile? Are any particular countries experiencing a significantly slower site? 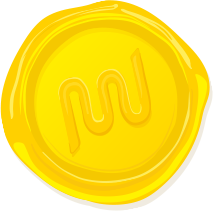 By the way, if you feel the need to for speed, WPMU DEV’s has two plugins that can help turbo-charge your site. Hummingbird will not only tell you where you’re falling short, but will also help make improvements. While WP Smush Pro will optimize your images. Together, they’re unstoppable. This should be called the Pareto Principal dashboard, because it will allow you to see what content is over performing and what content is under performing. On this report you’ll see what content gets the most pageviews and what pages your visitors spend the longest amount of time on. What kind of content is popular so I can create more of it? What pages have the highest exit rate so I can fix it? What pages are so significant that people keep coming back to them over and over and over? Is there a report you need that we didn’t cover? Head on over to the Google Analytics Solutions Gallery and have a look around. You’ll find reports that will help you analyze traffic from each source, dashboards to help you manage your PPC campaigns and more. Have I convinced you to give dashboards a shot? Good. The first step to get started, is to sign up for Google Analytics if you haven’t already. You’ll have to sign in with your email to get started. 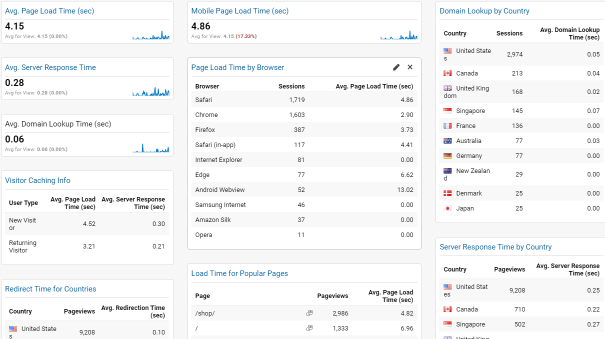 WPMU DEV members can use the Google Analytics WordPress plugin. We’re adding some awesome new features to the Google Analytics + plugin in the coming months, so keep on eye on that one. For a free option, Google Analytics for WordPress by MonsterInsights is currently the most popular WordPress Google Analytics Plugin, with millions of downloads. Once you’ve set up your Google Analytics account, installed the tracking code and imported the reports and dashboards you want, it’s time to automate the delivery of the most useful reports. The process for creating a PDF of your dashboard, sending an email and scheduling the report to go out on a recurring schedule all happens on the same screen, so it’s quick and easy to set up. To access it, go to your dashboard and then go to the EMAIL item in the menu. In the box, enter the email of the recipient. The PDF will automatically be attached. You can specify if you’d like to send a report just once or if you’d like to send it daily, weekly, monthly or quarterly. In the advanced options, you can specify how long to send the report for. Below that, you can add a small message. Here’s what the email looks like that your clients will receive. It’s really basic, so if you’d like to compose your own email, you’re going to have to export a PDF. To export a PDF for yourself or to insert into your own email template, to EXPORT > PDF which will start the download instantly. When you’re ready to level up and get really focused with your reports, I suggest creating your own reports. You can then link those reports together to create your own dashboards, that’s where the magic really happens because it allows you to see both the picture and dive in to see the details. Here at WPMU DEV we use custom dashboards to monitor the health of the site and the blog and we review them weekly. You need to think about what the purpose of the Dashboard really is. Overall business performance? Blog performance? Or maybe something more specific like author/writer performance? Then figure out what KPI’s (key performance indicators) are important for that purpose. It’s easy to add a bunch of widgets to a dashboard. It will look nice, but you have to ask yourself if the data will actually be helpful in some way. I couldn’t have said it better myself. If you are trying to figure out what reports to send your clients, here’s a post on how to create reports your clients will actually want. Are you still with me? It’s a lot of explaining, but the actual work is pretty quick. You can have your reports imported and scheduled to go out in less than 15 minutes and start reaping all the rewards shortly thereafter. For those of you who want even more reports, you need to have a look at the white label reports in the Hub. They’re outstanding and they’re only getting better. We keep expanding them and adding more and more useful information. We’re going to be bringing some GA goodness right in to the Hub soon, so keep an eye out for an announcement. 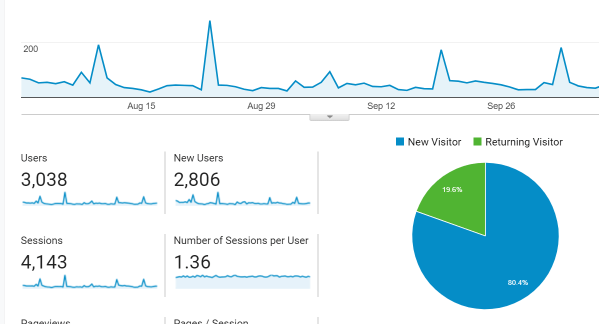 In the meantime, take a look at the Google Analytics dashboards available to you and if you come up with a report that is right in the sweet spot, not too complicated but very insightful, add it to the Google Analytics Solutions Gallery so we can all benefit. What about you? Do you currently send reports to your clients? What tools do you use to streamline this process? Good article. Lots of good plugin links. As a long time marketer, I find it easy for the current crop to get lost in the weeds. There are only a few, very key, metrics needed to get an actionable picture of ANY campaign or program. You need to know cost, revenue, universe, source, and velocity. All other data, though interesting, can get in the way. So, you need to know what you paid out today, amortize or average it. But get your daily cost. Then get your daily revenue. Same drill. You should know these on two levels: Globally, combined, fully mixed, including all marketing and sales activities. Second, break out, going top – down, looking through various lenses, like by program, or campaign, or by source. But, your still looking at: Did I make money TODAY. Yes, you can widen the time frame to get smoother, broader averages. 1) Cost per Sale, 2) Revenue per Sale. Once you have those, you can learn from your “counts”. These are elements like the universe, or total exposures; responses, counted at different points in the pipeline, like click throughs, subscribes, or purchases. These are not dollar figures, but raw counts. Once again, you need to borh isolate “today”, and have a sense of broader averages. Once you have your cost, revenues, and basic counts, you can build ratios and benchmarks, usually in dollars. I’ll leave it with this. Keep it Simple. Know your daily costs. Work out various ratios like Cost per Sale percentage, down to Cost per Exposure, Click through; same on the Revenue side. Feel the pulse. Be VERY AWARE of the actual counts of those who get to your Thank You for buying (or subscribing) page. Don’t trust Analytics for that. Look at the actual transactions recorded. Good luck. Good Hunting.. I agree, your primary focus should always be the bottom line. How much are you spending and how much are you getting in return. It’s like budgeting basics. If you’re in the negative too long, then you’re going to burn through resources without turning a profit. Hey there. I just had a client ask me “can you tell me how many hits I get”. So I found this article. Any idea on a timeline of this? David, these reports/dashboards only take a few minutes to set up. As long as you’ve installed the tracking code and waited a few days for some data to accrue, you can get them over to your client pretty quickly..
for ourselves or to insert into our own email template. Is it possible to insert our template directly in the Dashboard? Or customize the email format there? 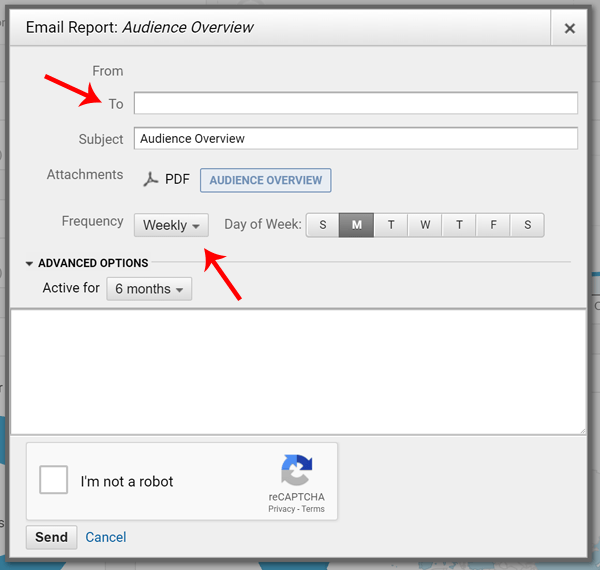 Unfortunately, right now there isn’t a way to customize the email template in Google Analytics, only the message. You would need to export the PDF and add it into your custom branded email.